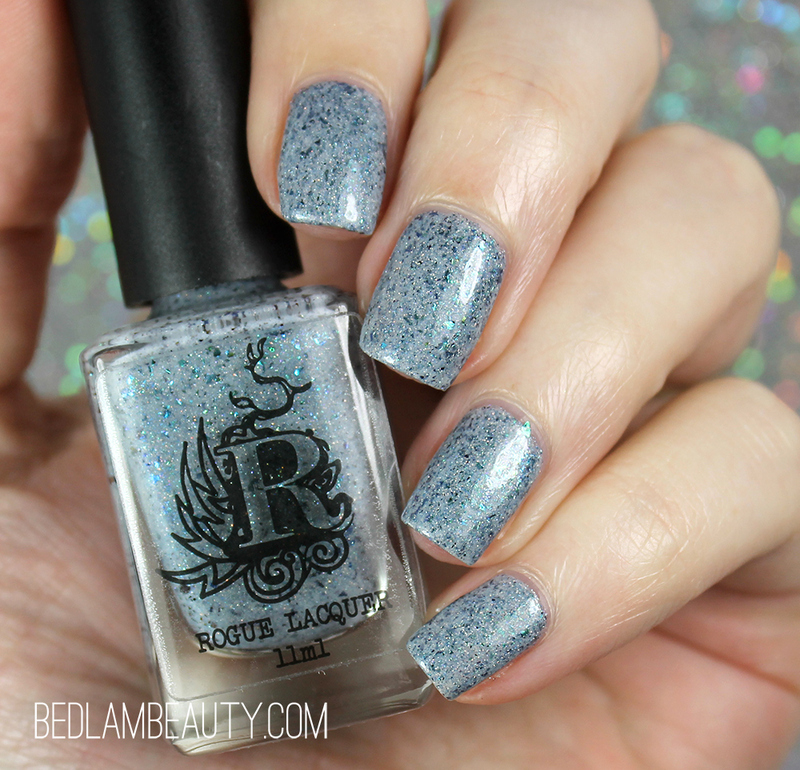 Rogue Lacquer has struck out in her own direction for the August Polish Pickup. In a season of brights or vampy shifters, this relaxed blue is like a breath of fresh air. It feels crisp and clean, but slightly wintry. This is a battleship blue-gray cream/jelly stuffed to bursting with shifting metallic blue flakes and twinkling with holo. It looks minty and clean, but still slightly chaotic and wild. Right up my alley, guys. The formula is smooth and even, and I only needed two coats plus a layer of Seche Vite for these pictures. It was inspired by the hit movie Mama Mia...which my hipster soul won't let me watch. It was super popular, and even my kids know all the songs. This polish almost makes me want to watch it...almost. This beautiful shade will be available in the Polish Pickup on August 3, 2018 at 11am eastern. If you like unique shades, this one should definitely be on your wishlist.